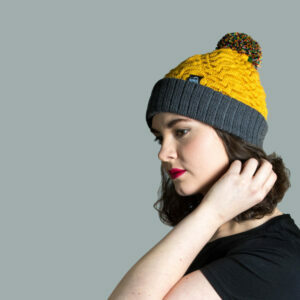 We love this mustard gold colour, it’s so warm against the charcoal grey and adds a welcome pop of colour to every day. 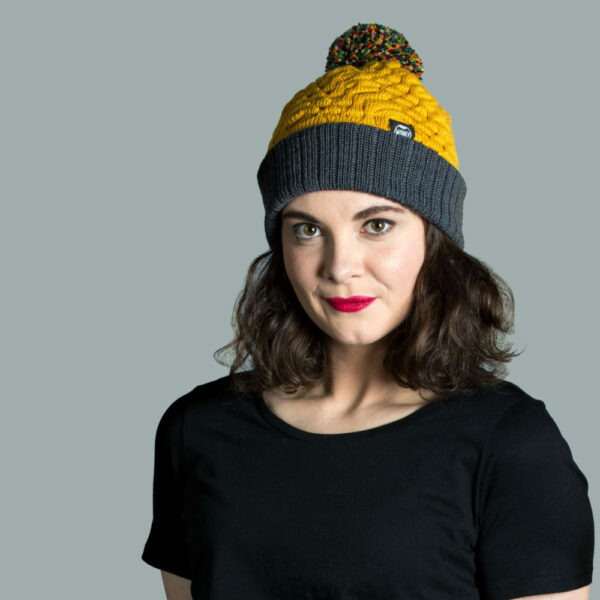 Worn in a slight slouch style, this merino wool hat has a heavy weight and a nice shine which makes it feel and look luxurious. 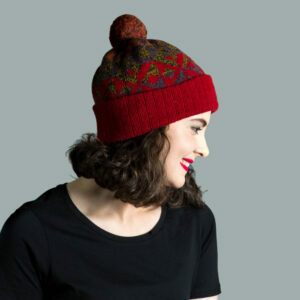 Our unique flame design incorporates tucks of wool which make little pockets of air to add comfort and warmth. 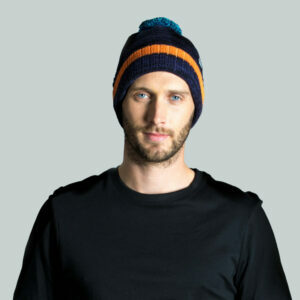 Merino wool is a breathable fibre which is perfectly suited to active wear. 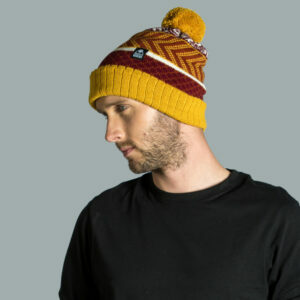 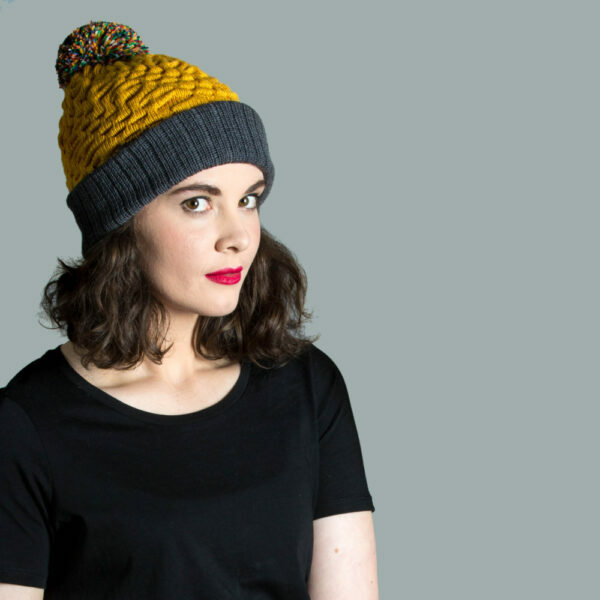 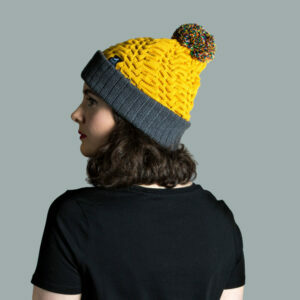 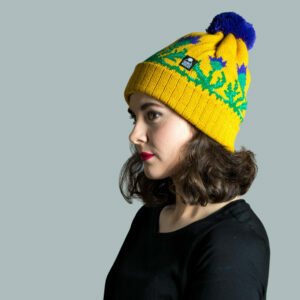 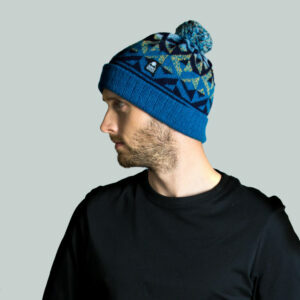 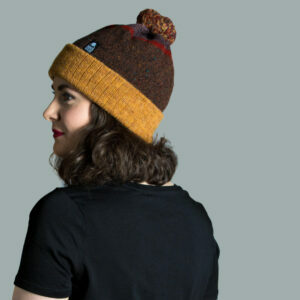 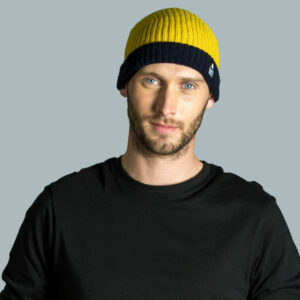 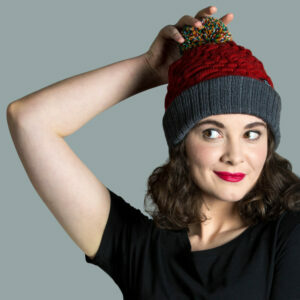 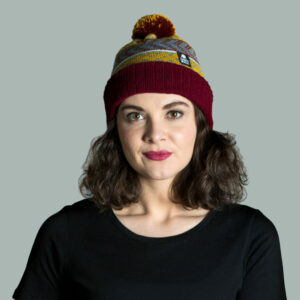 We’ve mixed 8 colours in the pompom on this hat, including gold, to add a further layer of warmth and style.